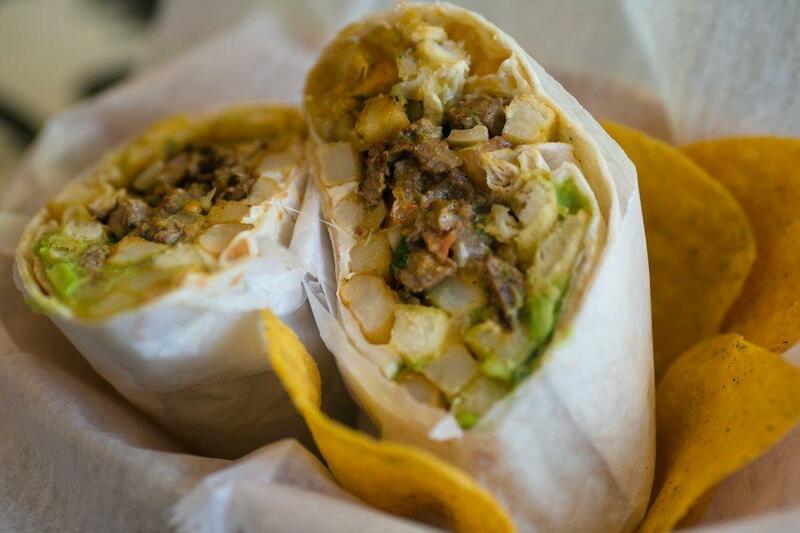 The California burrito is the standard by which all other massive bricks of Cal-Mex food are measured. It's a jumbo flour tortilla filled with carne asada, guacamole, pico de gallo, cheese, and—setting itself apart from the bean and rice-base Mission burrito—a fat handful of French fries. Can be made vegetarian on request.